"I am very very thankful to the West Bengal Chief Minister and TMC supremo Mamata Banerjee for her support to my candidature," Abhishek Singhvi said. 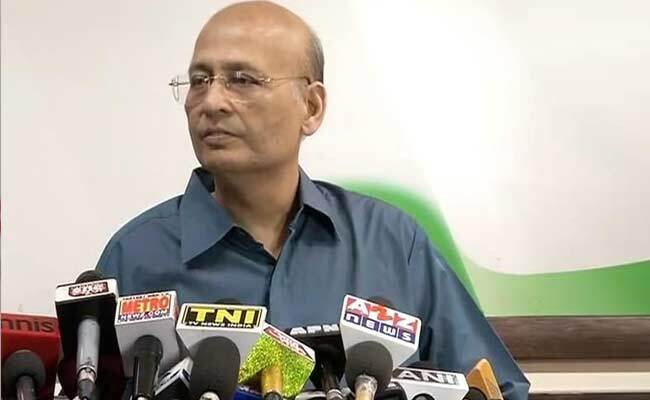 Kolkata: Abhishek Manu Singhvi, the Congress nominee for the forthcoming Rajya Sabha polls from West Bengal, on Saturday said there was an "anti-BJP space" in the state and he was happy to be nominated from here. After an hour-long meeting with the Congress Legislature Party (CLP) members at the Assembly premises in Kolkata, Mr Singhvi told reporters that he was proud to be the party nominee for the March 23 Rajya Sabha polls from the state. "The arithmetic, history and geography of this state show the presence of an anti-BJP political space here," he said. Mr Singhvi added that the Trinamool Congress (TMC) extended support to his candidature on the basis of its political stand, which was backed by time, event and issue-based decisions. "I am very very thankful to the West Bengal Chief Minister and TMC supremo Mamata Banerjee for her support to my candidature," he said. 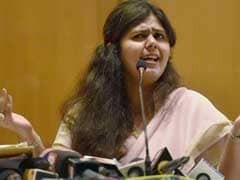 Ms Banerjee had yesterday announced that her party would support Mr Singhvi in the Rajya Sabha polls from the state. Mr Singhvi also thanked all the senior Congress leaders in the state, including West Bengal Pradesh Congress Committee (WBPCC) president Adhir Chowdhury, and hoped that they would keep on supporting him. "I do not sense any opposition here, as in at our party-level," he said. Mr Singhvi said he was proud to be nominated from the land of Rabindranath Tagore, Swami Vivekananda, Ramakrishna, Rammohan Roy and Netaji Subhas Chandra Bose. Leader of the Opposition in the state Assembly, Abdul Mannan, said even in the last Rajya Sabha election, the Mamata Banerjee-led party had extended support to the Congress' Pradip Bhattacharya, "but that did not prevent us from opposing the TMC at the state-level". On the Left Front proposing to field a candidate against Mr Singhvi, he said, "It is their democratic right to do so and I will not comment on it." The Left Front had yesterday announced the name of senior CPI(M) leader Rabin Deb as its candidate for the Rajya Sabha polls from the state.